It will replace my VSX-C301 slimline which I love but is now showing its age, not having any HDMI connections at all. How embarrassing. You are the audio choice expert from Desktop Technical Support, aren't you? How about Dolby Atmos? bbbb, do you ever have anything constructive to say, or do you just miss Skipnet50 so much that you want to take his place? Yeah, it is pretty much marketing-BS to put Atmos on BD by this point. E.g. I still don't have 7.1 because I can barely place the 5.1 speakers. 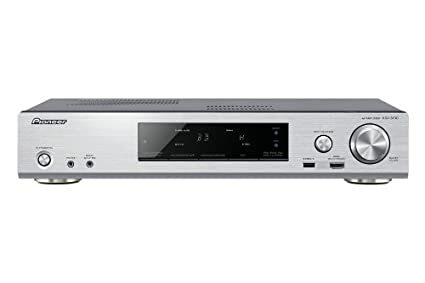 And if you look at what is new on the market even that seems to be rather unpopular and a lot of people tend to get soundbars so they only have to have one speaker. My understanding of Atmos is that the codecs are designed to reconfigure the outputs to handle between 7 and 34 speakers. And looking at the suggested 5.1.2 speaker setup, all you would need to add is a couple of small speakers that project and bounce off the ceiling, that perhaps could even sit on top of your fronts. My personal taste is balanced bass. So I have 4 sub-woofers. I have gotten more pleasure from realistic rumble (without needing to rattle) than from buzzing insects around my ears. I notice that the Dolby reference configurations do not account for "front high". How convenient. That means that those of us with front high speakers can just tilt them upwards and viola! Atmos! (I think). If I dd this, my setup would be classified as 7.4.2. I think my receiver still has two channels I am not using, so I could go to 9.4.2, but honestly I don't think I could detect the difference. This got me to thinking. I had not listened to the loss less Atmos demo track since I last ran the calibration cycle on my receiver. So, I tilted my front high speakers towards the ceiling to cause a bounce in generally the proper area and played the track. It was pretty awesome. It confirms my feelings about the bass. Rather than a single monstrous subwoofer that concentrates the thunder into one corner of the room, I got a powerful distributed rumble that more closely approximates nature - IMHO. Might even be cheaper to buy four (or at least two) good small ones instead of a single monster. I have been running 7.2.4 since late last year and the sound is great. The speakers don't necessarily have to be in the ceiling - they can be mounted (like you do wall mounts) or even just use your old front heights/rear heights if you want. I was disappointed when DVDPro 3.9 didn't include Atmos nor DTS:X for the sound options (and it was requested at the time). Back to the sound, I think you will find most people are actually surprised more by the new Dolby up mixer that is included in Atmos. the old ProLogic stuff is gone and they now have the new DSU (Dolby Surround Upmixer). This in itself gives far better immersion and a greater overall sound quality, even if you still only use 5.1 or a 7.1 system. Couple that with a few overheard speakers and it's fantastic. The only disappointment? most of the movies so far released in Atmos on BluRay aren't really the best movies. I guess the sound is better then the movie in a number of these cases. Still American Sniper and Hunger Games one were pretty good. Transformers etc - well forget that, unless you like those movies. I have been running 7.2.4 since late last year and the sound is great. The speakers don't necessarily have to be in the ceiling - they can be mounted (like you do wall mounts) or even just use your old front heights/rear heights if you want. I'm late to the party, but I finally got there too. I described my experience in another thread. I'm happy to hear that you are also enjoying 7.2.4, and true to your suggestion, I turned my front-high speakers upwards to bounce off the ceiling about 1/3 the way back. Sorry you don't like Transformer type movies - it was awesome! I'll try the two you mentioned next.